Being located in the center of East Los Angeles, Cannafornia Health Group is a proposition 64-compliant dispensary that provides its clients with the best possible medical cannabis. The goal of the dispensary is to satisfy the needs of each patient through providing them with the highest quality medicines for reasonable donations so that everyone in need could afford an alternative to the conventional medicine. The dispensary offers a wide range medical marijuana flowers – there are almost 80 Indica, Sativa, and Hybrid strains. Besides the flowers, the product range comprises over 60 types of wax and concentrates, more than 60 kinds of edibles, including drinks and tinctures along with a number of topicals, prerolls and smoking accessories. 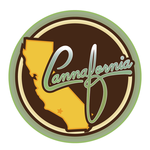 What is more, the dispensary aspires to offer excellent customer service to ensure that every customer leaves Cannafornia Health Group totally satisfied.